In 1934, the North Carolina Society of Colonial Dames erected a marker for the first church in Mecklenburg County. 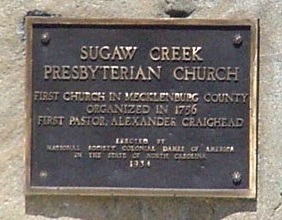 Sugaw Creek Presbyterian Church was organized in 1756 with Pastor Alexander Craighead. Dorothy Robinson and Evelyn Henderson unveiled the marker during the celebration of the 178th anniversary of the church. 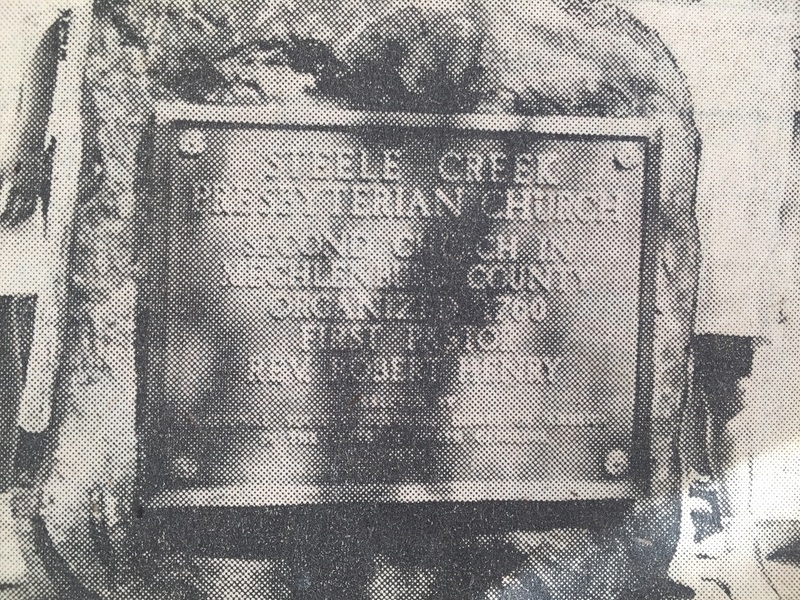 On August 15th, 1935, the NSCDA-NC unveiled a marker for the 175th anniversary of Steele Creek Presbyterian Church in Charlotte. The Society marked the site to recognize the first building erected by a congregation, organized in 1760.